Alpha Concepts is assisting a client to decommission a sewage treatment plant on a site that is reducing in regards to the wastewater generation rates. 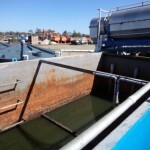 The site has two treatment plants and the waste generation rate is at a rate where on average it meets with the needs of only one plant; however, for two days per month experiences a peak load that exceeds the capability of a single treatment system. Alpha Concepts has started a partial decommissioning process whereby one sewage treatment plant is left operational at maximum capability and a second MBR (Membrane Bio Reactor) treatment plant is being partially commissioned to meet site needs. 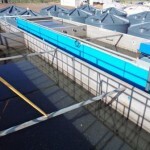 The MBR consists of three modules, one with the UF / MBR process and two other modules incorporating fats – oil and grease separation, balance tank and system digester. 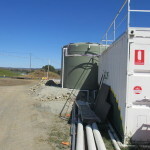 The MBR section is being decommissioned with storage of the membranes and the remaining two modules will be utilised for peak influent storage of the two days of site peak load allowing for single plant operation, optimal operational characteristics and performance and averaging monthly wastewater loadings. In essence, the scheme yields a system of low cost and high flexibility.